As a continuing effort to ensure Major League Lacrosse remains the premier professional outdoor lacrosse league, we review the rules at the end of each season to identify any changes necessary. 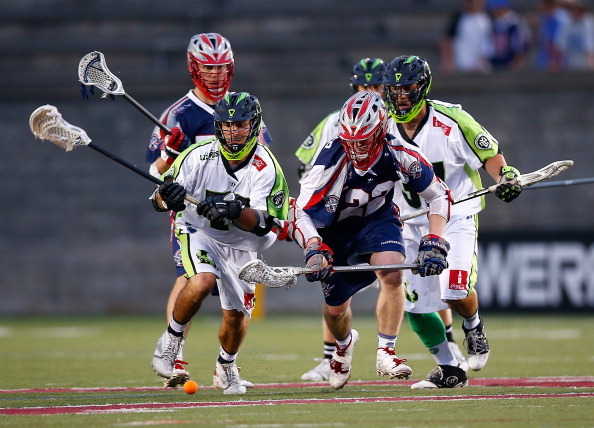 In conjunction with the MLL Rules Committee as well as discussions with each Team, the following changes will be implemented during the 2015 season. 1. During a face-off, a face-off player may not make contact with the plastic head of his stick with his head, hand, fingers, arm, forearm, knee or any part of his body. 2. The officials must make sure the face-off players are completely set before sounding the whistle and that the player is not “rolling” though the set call. 3. Each Player must have both hands on the handle of his own crosse, touching the ground but not touching any strings of the crosse or the plastic of the head of his stick. Any dead ball personal foul which occurs after a goal is scored or between periods which is listed below will result in the offended team receiving possession at midfield. There will be NO face-off. In the event where multiple dead ball personal fouls are committed resulting in an even amount called for each Team during the same dead ball scenario; a face-off will resume play. In the event where multiple dead ball personal fouls are committed, resulting in an uneven amount called for each Team during the same dead ball scenario; the Team which committed the least will receive possession at midfield. 1. Leave the team area or the confines of the bench area. Exception: Medical, Safety, Injury, any other designation that may result in harm to a player, coach, athletic trainer, or staff personnel, or unless notified by the head official. 2. Bait, taunt, call undue attention to oneself, or commit any other act considered unsportsmanlike by an official. The severity of the actions will determine whether that action is to be called a conduct foul or an unsportsmanlike foul. A conduct foul is a technical foul and should be adjudicated as such with the following exception: If a conduct foul occurs after a goal and before the whistle signaling play for the next face-off, the penalty shall be a 30 second suspension of the offending player from the game. There will be a man up / man down face-off with all rules for that face-off in effect (Exception: Dead Ball Foul). A. Any action deemed dangerous against a defenseless player. B. Excessively violent infraction of the rules against holding and pushing. C. Deliberate and excessively violent contact against a player who has set a legal pick or screen. An unsportsmanlike conduct and or game conduct foul may be called in addition to unnecessary roughness. a) If a shot is taken from outside the 2 point arc and makes contact with any part of an attacking players stick or body, inside of the two point arc, the goal will be counted as ONE (1) point and will be credited to the player who last made contact with the ball, not the initial shooter. b) If a shot is taken from outside the 2 point arc and makes contact with any part of a defending players stick or body, the goal will be counted as TWO (2) points and will be credited to the shooter. If the ball becomes caught in a Player’s crosse, it shall be an immediate turnover.